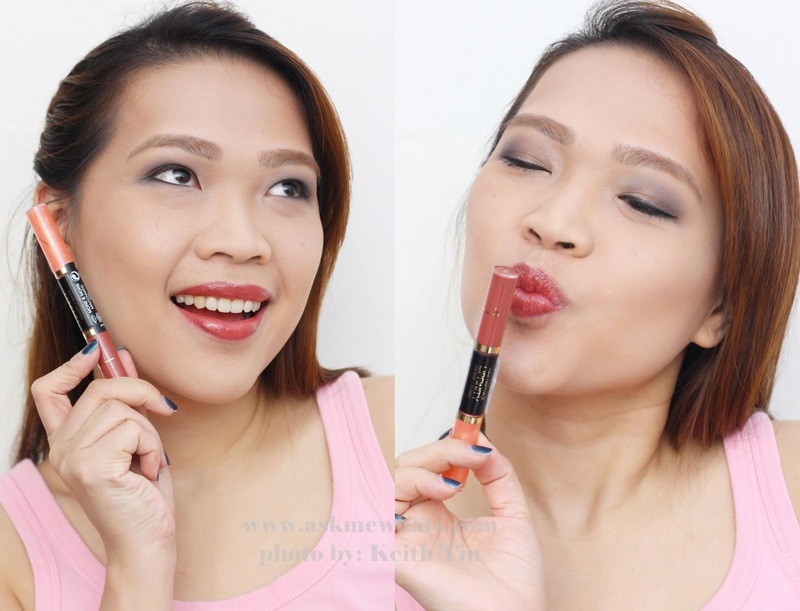 A long-lasting lip color that can last for hours? You had me at long-lasting there! In one swipe, I was hooked! I wore this a lot of times because who has the time for retouch when you have so much on your hands? Max Factor Lipfinity Colour & Gloss is available in nine 9 shades and it comes with colored, shimmering glossy liquid as a topcoat! 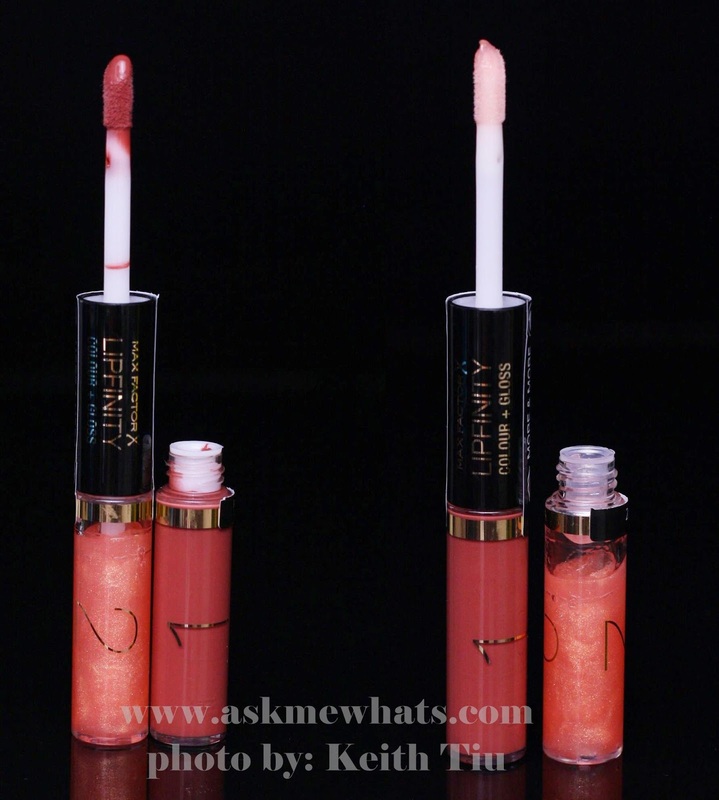 You may opt to wear the lip color alone or the gloss alone or both! 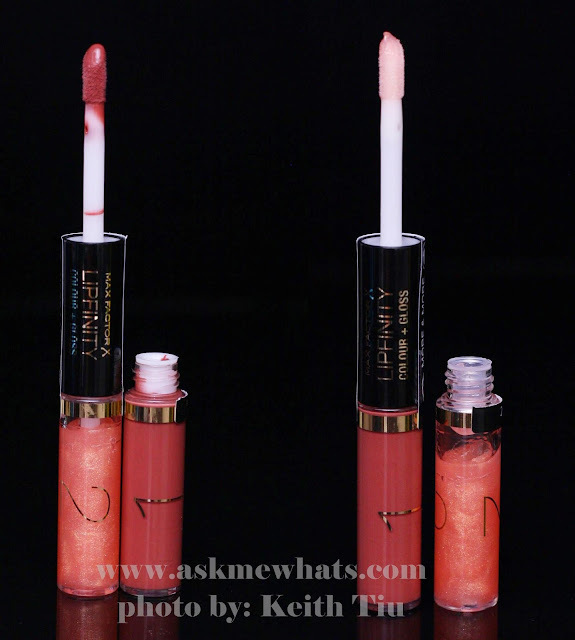 The lip color itself is lovely and has high-shine! Even with my current dry lip condition, I can actually wear just the lip color alone without having to worry about feathering, cracking or flaking! As stated above, it has extreme shine that works well on its own! For users with fuller lips like I do, feel free to skip the topcoat/gloss as it may create fuller-looking lips! But, for the sake of review, I've tried the gloss and I like how nice the scent was, nothing overpowering and it is non-sticky, easy to apply and gives shine that looks extremely natural! Check out how it doesn't make my lips look full in an exaggerated way. A closer look on the lilp color and gloss. The shade works so well on all skintone. I reckon it would look good on users with extremely fair skin or users with dark complexion! This shade is universal and adding a 2nd or 3rd layer can also work well as a "night lip" look! Now here's the best part! 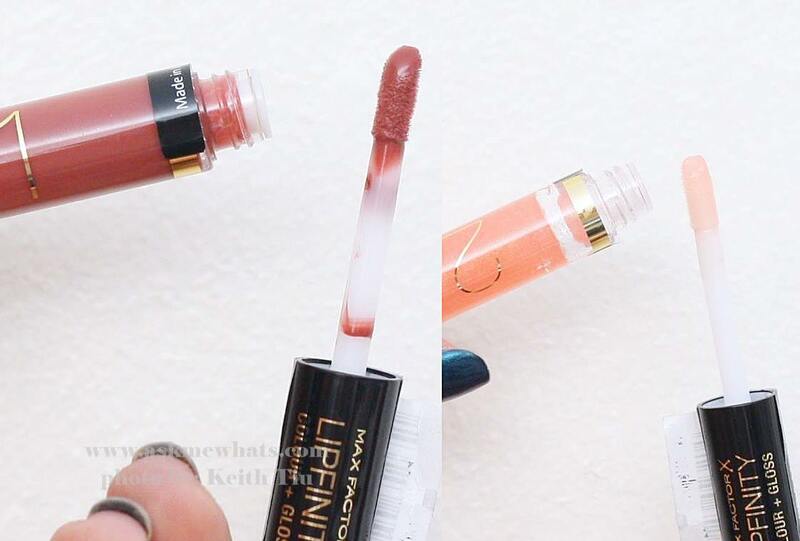 The Max FactorX Lipfinity Colour is indeed long-lasting! I tried wearing this the whole day and coming home, I still have a nice color on! I even tried wiping it off with a makeup cleansing tissue and the color stayed! The top coat isn't long lasting though so if re-application is needed, you only need to do so with the gloss! 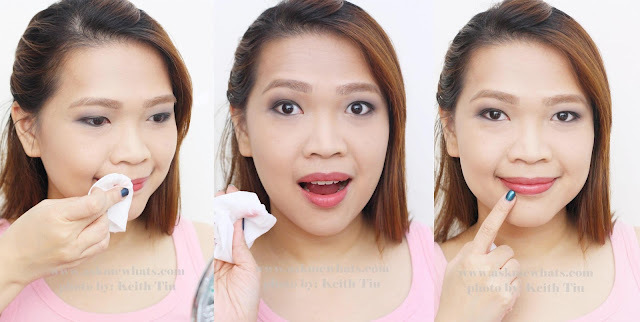 Now on to the question on top of your head --- how to completely remove the lipcolor? I like wiping it off with makeup remover by leaving a damp cotton bad on my lip. For easier removal, cleansing oils can do the trick! The best part about this product is that it never dries up my lips like most "infinite lip products" do. I am going to Max Factor counters near me to purchase more --- I can totally imagine this lippie as a stable for my bridal clients! Max FacorX Lipfinity Colour comes with the mascara as bundle is priced at Php1,225.00 with savings of Php215.00. I'm not sure if this bundle is still available as I just saw this on their FB page. Let me know if they are still available! I can't wait to stock up! How do you like More & More Macchiato on me? 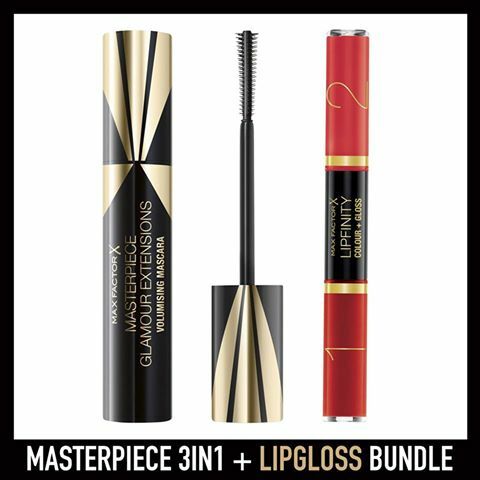 Any other Max Factor products you highly recommend? Gosh. I miss Max Factor!!! I remember one of my first lipsticks when I was starting to fall in love with makeup was from this brand. I wanna revisit! Thanks for the beautiful face! Thanks Laarni :) Give this a revisit, totally worth it! One of my fave Max Factor product to date! Super amazing!!! Oooh this looks promising. Sayang yung gloss kasi hindi ako nag-ggloss sana 2 colors nalang haha. The worst part about other "long-wearing" lipsticks is that they forget to tell you that they only stick forever in random patches! hahahhaa well, this is actually way better than the other long-wearing lipsticks I've tried! Wich is the name of the colour? Please!! !